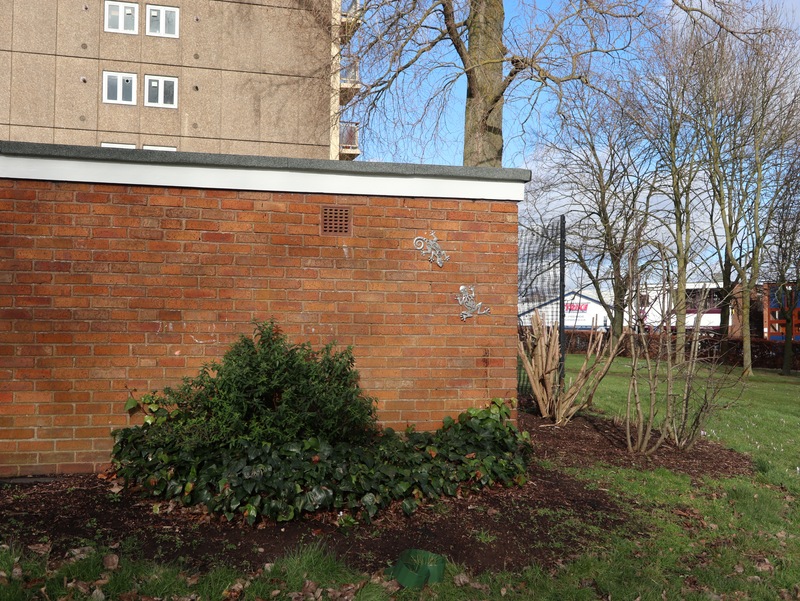 February 8th -Taking a shortcut through the Tannery Estate in Birchills, North Walsall during the morning I noticed an interesting pair of wall ornaments on the edge of the communal pathway between the apartment blocks. 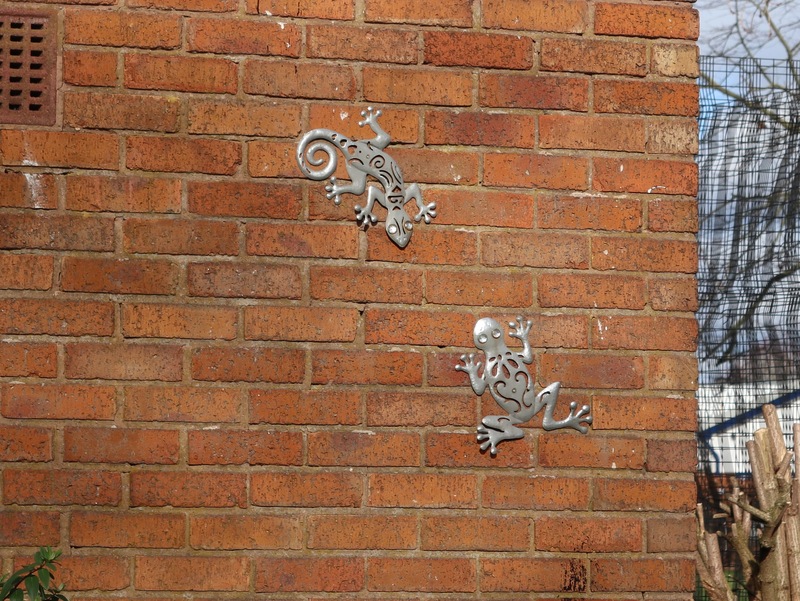 This metal lizard and frog friend have been carefully mounted on a garage wall, in the gardens. There’s no obvious reason for them to be there at all, and I couldn’t see any other such ornaments, but they’re beautiful and delightful; a lovely thing. May 2nd – Many of us know the pain of an irritating sibling. I spotted the charming grey cat near the Tannery flats in Birchills, Walsall. He was inspecting the flower border and very alert to me. Then what I assume to be his brother appeared. They greeted each other with a nose boop, then grey fellow continued to stare me out, stalk me and generally let me know I was under intense scrutiny – while the brother rubbed his head on him, attempted to wash his tail, and generally didn’t take stuff seriously at all. Eventually, Mr. Grey walked off in disgust. A fine pair of cats. Someone loves these two very much.